After four soldiers were killed by the Pakistani Border Action Team, which infiltrated 400 metre into the Indian side, many videos including this one were circulated along with claims of "revenge attacks" on Pakistan. 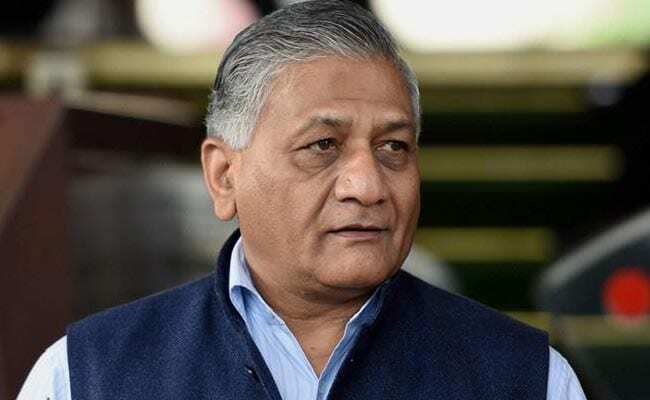 New Delhi: Union minister VK Singh posted a clarification on Wednesday after sharing an old video that went viral as the "last video" of one of the four soldiers killed on Saturday by Pakistanis near the Line of Control. The video, which shows a dying soldier's last words, was shot in 2009. It is believed to be of Central Reserve Police Force officer Satwant Singh, who came under attack in Maoist-hit Bastar in Chhattisgarh. It was mistakenly believed that the dying soldier in the video was Major Moharkar Prafulla Ambadas, one of the four killed on Saturday evening. A message with the video said: "Major Prafulla giving instructions to his unit though shot and collapsed thereafter". VK Singh, former Army Chief turned Minister of State for External Affairs, posted the CRPF video on Tuesday with the caption: "Young officers are the strength of India army as they lead from front". I am well aware that the video I shared is an old video from the CRPF. The intent of sharing this video is to showcase to all the courage, valor and leadership of young officers who are always putting the nation before the self. As his attention was drawn to the error, General Singh posted on Facebook: "I am well aware that the video I shared is an old video from the CRPF. The intent of sharing this video is to showcase to all of you the courage, valor and leadership of the young officers of our armed forces, who are always putting the nation before the self." The others killed in the Saturday attack were Sepoy Pargat Singh, Lance Naik Gurmail Singh, and Lance Naik Kuldeep Singh. On Monday evening, five commandos of the army's "Ghatak" battalion crossed the Line of Control in Poonch in Jammu and Kashmir and killed four Pakistani soldiers to avenge the killings.